This hotfix fixes the issue where the Online Map stopped displaying since October 29th, 2014. The Geolocation online map provided by Bing® stopped downloading on October 29th, 2014, when Bing changed its server-side connection protocol. This hotfix ensures that the connection protocols are compatible with the protocols currently used by the Bing servers. 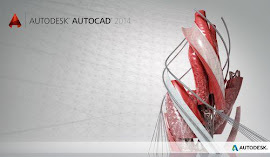 After applying this hotfix, the online map correctly downloads and displays in Autodesk® AutoCAD® 2015.